Packed with beautiful fleece. Sweet boy. 1/2 Accoyo, Fleece stats WOW! Fawn Accoyo Genetics from Sire+Dam! Late Term, Silver/Fawn Service Sire! MB female-grey genetics from Aussie .38! 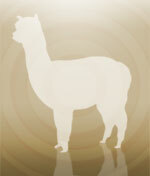 Reproduce her lovely cria for YOUR herd! Sells w/daughter & breedback =3 in 1! Rare Best Man Son, Top EPDs--in CA! TB Silkie Type--Top EPDs and Pedigree! Adorable Fiber/Pet Male. Top Bloodlines! Your choice of top breedings! TB great mom, free breeding! Chachapoya son of multi-champ female! Jet Black, Pedigree, Champion crias! MRG,Top 1% AFD 2015+2016--8 Big Wins! IAO SUPREME CHAMP and MORE! 4 Blues + Color Champ-+ Black Sire! Champ from Grey Champ Sire & Dam! 1/2 Accoyo gorgeous offspring! BARGAIN! Re-bred to sire of fabulous first cria! Proven MSG gal, Outstanding Pedigree! DRG Grandtr of Greystone and MacGyver! Champ + 3 Blue Ribbons! Black Kobe gal,Bred to Greystone! 2 Greys in one award-winning H'sire! 8 FIRSTS + 3 CHAMPS!--BREEDING NOW!